Which of these do you fear most: the shark or the mosquito? A children’s story puts it a little more gently, in ‘Tigers, Sharks, and Mosquitoes’. What do you fear more than the humble mosquito? The specimen above was trapped in the Western Kimberley town of Broome. Others in the same trap were tested for a group of viruses; Kunjin virus, Murray Valley Encephalitis virus, Ross River virus and Sindbis virus. All these are present in northern Australia, particularly during the wet season. 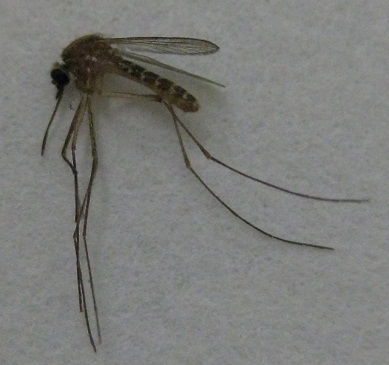 Permanently wet areas support mosquito breeking at other times in the year. The huge diversity of mosquito species is a reflection of their success as an insect group. Attempts to control them continue despite the scale of the challenge. Clearly, success is only likely to be local and short-lived. But that does stop attempts to come up with new approaches to mosquito control. One of the most intriguing is the use of a symbiotic bacterial species called Wolbachia to induce sterility and thus prevent mosquito breeding. 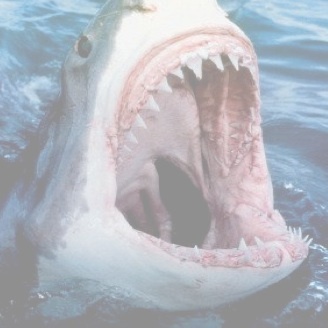 You wouldn’t want to do that to a shark.